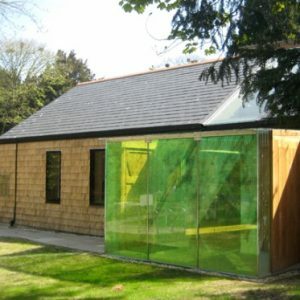 St. Mark’s Church, Ion Glass and Brewer Jewel Architects. 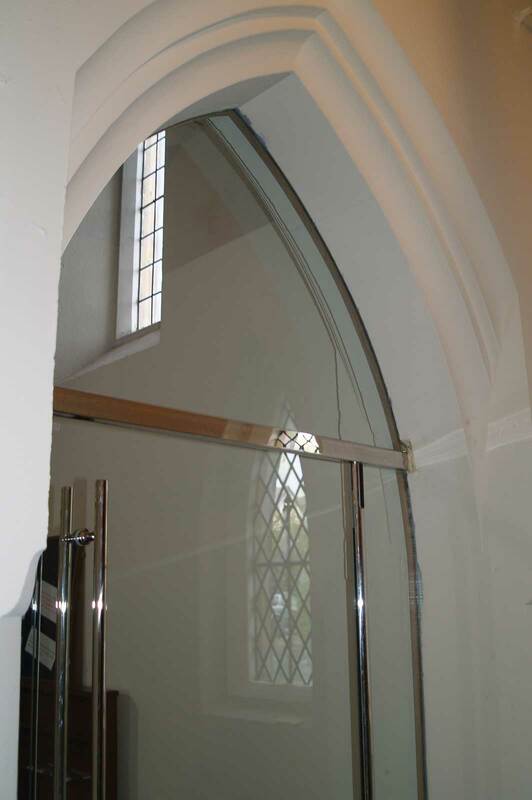 Bespoke Glass Pivot Door and Arched Glass Vision Panel. 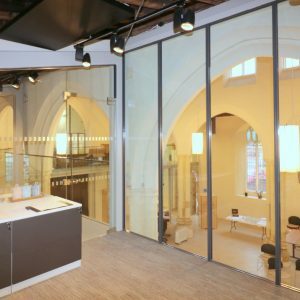 Ion Glass were commissioned to supply and install a frameless glass door to the east entrance of St. Mark’s Church to allow light flow throughout the entrance area, whilst creating a practical glass wall partition from the reception area. 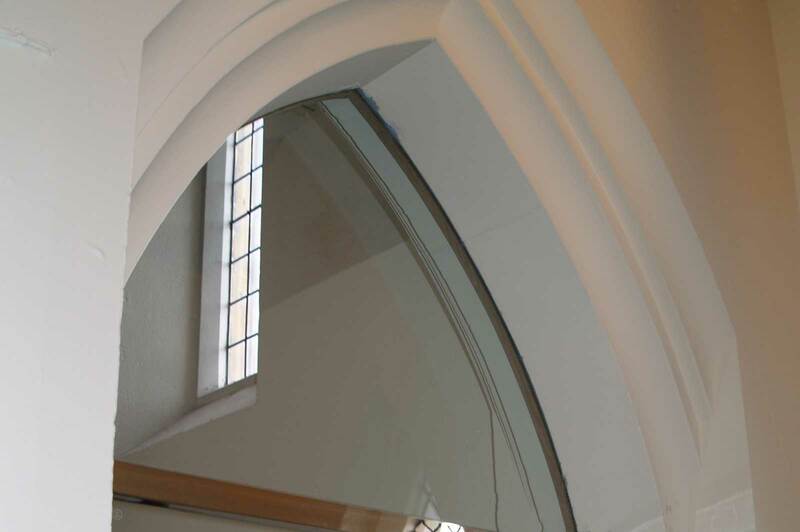 The installation comprises the main door which is set between two frameless glass side lights and one header panel manufactured to the curved shape of the gothic archway. 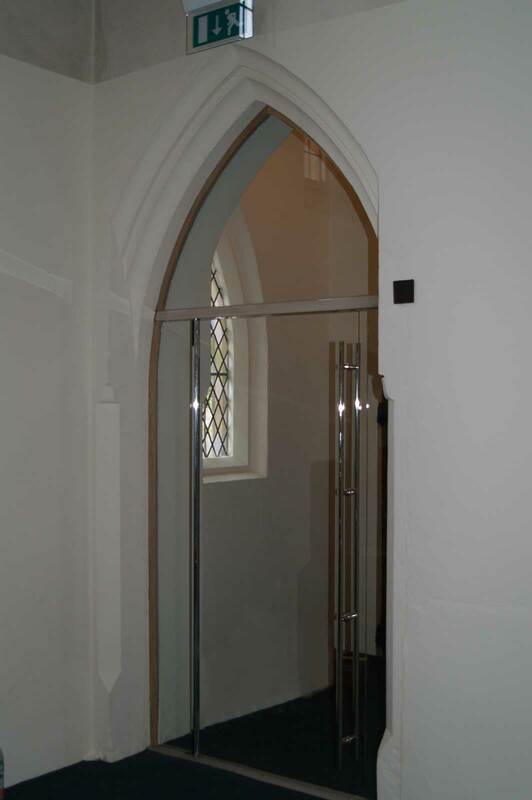 The glass panels are fitted into a minimalist style perimeter channel into the stonework, whilst the glass door is fitted with the Dorma Beyond ‘pinch-free’ pivot door system. 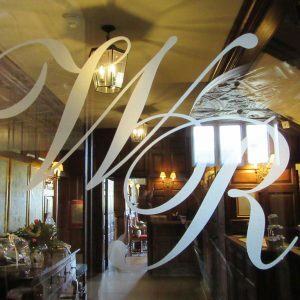 All ironmongery is finished in polished chrome. 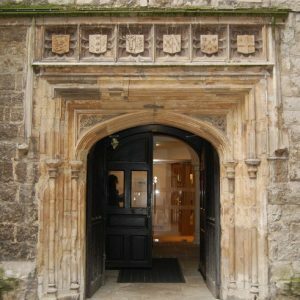 Ion provided a full survey, templating and fitting service to create an accurately measured and well adjusted installation.